This is a piece that I am hoping to become part of a larger series of work that I will be working on. My goal is to create art as a celebration of carribean culture. 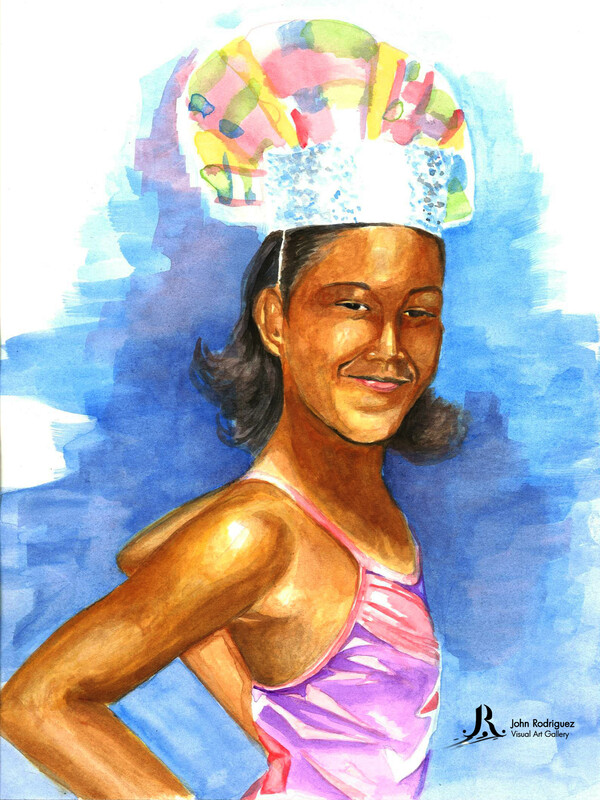 This is a painting of my neice in her majorette uniform. It is from a photo that my sister sent to me years ago. I have been doing a lot of study on watercolor technique as it pertains to realism. I am facinated by the work of Stephen Scott Young. He is a master at his craft. I will focus this year towards this project of mine and i hope to see improvement in the debth of color and content in my watercolor pieces.